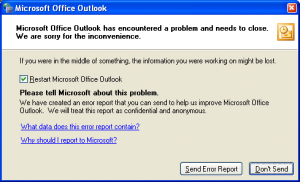 Introduction – If you are an Outlook user and you try to open ‘MS Outlook for Windows’, the application may prompt up with “Microsoft Office Outlook has encountered a problem and needed to close” error message on your PC screen. When this happens, you cannot open Outlook and access the stored data items including emails, contacts, calendars, tasks, journals, etc. Then it turns out to be an untoward and unforeseen situation. However, you have an option to fix this error. Go through this blog to get the right solution. 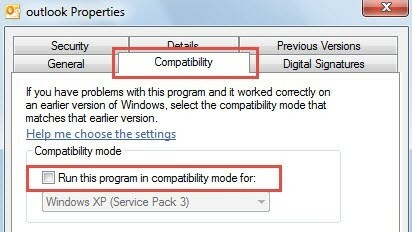 If yes, it signifies that Outlook is configured in ‘compatibility’ mode. Thus, uncheck it. 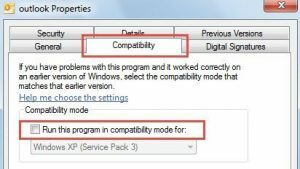 If Outlook is not in ‘compatibility’ mode or disabling compatibility mode does not make any difference, and you still encounter the Outlook error, then try other solutions. Finally, start Outlook to check if you were able to address the error using the method of ‘open Outlook in ‘Safe Mode’ and disable ‘error causing Add-ins’. After the completion of these five steps, start Outlook to check if you were able to fix the error. Corrupt PST file may be the cause of above-stated error in Outlook. To repair damaged Outlook PST file, run either the inbuilt Inbox Repair Tool (scanpste.exe) or Outlook PST file repair software. Scanpst.exe has a defined location based on the MS Outlook and Windows version. If you do not know the location, search it using the Windows Explorer. Once located, follow the onscreen instructions to execute the PST file repair process. Next, you can also use PST Repair tool like Stellar Repair for Outlook, which is one of the many PST repair software available for repairs even severely damaged and large files. Enriched with multiple features and simple GUI, it is the best tool to repair Outlook PST. The tool recovers all mailbox data: emails, attachments, contacts, calendar, tasks, journals, note, etc. in a new usable PST file. The software provides other saving options like EML, MSG, RTF, HTML, and PDF to save emails. Besides, repairs password protected PST files and offer the option to save & load scan results as a DAT file, thereby avoiding rescanning of the damaged PST file. PST Repair Software by Stellar is compatible with MS Outlook 2016 and all lower versions. 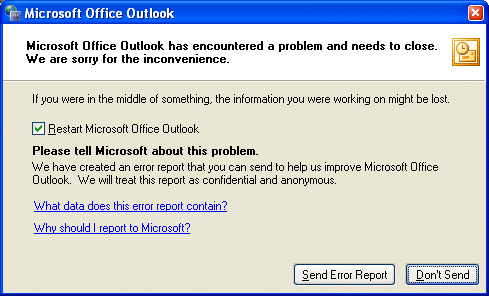 When it comes to resolving Outlook errors “Microsoft Office Outlook has encountered a problem and needs to close”, several methods like using Inbox Repair Tool, new Outlook profile creation, open Outlook in ‘Safe Mode’ and disable ‘error causing Add-ins’, disable ‘Outlook in Compatibility Mode’, running PST file repair software are available. You can follow these approaches depending on the cause of the error. However, when it comes to PST file repair, it is not always successful trying the inbuilt Inbox Repair Tool though free-of-cost. In all businesses, time is an essence hence it is better to opt for a reliable method. Therefore, use the efficient, easy-to-use, and reliable Stellar Repair for Outlook software that MVPs and Outlook Experts do recommend. The best part is that it repairs damaged PST file in the minimal time, thereby reducing possible Outlook downtime caused due to the error.